In a world of many uncertainties we are constantly on the search to identify “X factors” – emerging concerns of possible future importance and with unknown consequences. Looking forward and identifying emerging issues will help us to anticipate future challenges and adopt a more proactive approach, rather than being caught by surprise and forced into a fully reactive mode. The threat of climate change is well known. But have we passed the point of no return? What if we have already triggered a runaway chain reaction that is rapidly tipping Earth’s atmosphere into an inhospitable state? The natural greenhouse effect is a prerequisite for life. Without it, the Earth’s global average surface temperature would be far below zero. But our planet’s climate is a volatile beast. Small fluctuations in the Earth’s orbit around the sun can exert a major influence on our climate. So can the varying concentration in the Earth’s atmosphere of heat-trapping molecules such as carbon dioxide, to which we have been adding through greenhouse gas emissions. The perhaps best-known positive feedback mechanism is the so-called ice-albedo feedback. In a warmer world there will be less snow and sea ice. Their melting reveals the darker land and water surfaces below, which absorb more solar heat. More absorption then causes yet more melting and warming, and so forth, in a self-reinforcing feedback loop. The unprecedented thawing of 97% of Greenland’s surface ice in July 2012, for example, has led to a darkening of Greenland’s ice cap, meaning that it will begin to absorb higher levels of solar energy and melt faster still. 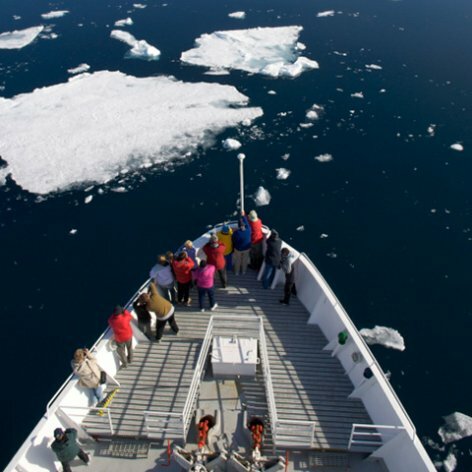 Melting of the complete Arctic summer sea ice – the Arctic is expected to be seasonally ice-free by around 2040 – could probably be reversed on human timescales if greenhouse gases are reduced and temperature drops. But if the several kilometre-thick ice sheets that cover Greenland and Antarctica dwindle, they may not so easily reappear in a cooler world. New ice would have to form at low elevations, where temperatures are higher. Finally, there is the potentially huge feedback effect of water vapour, a natural greenhouse gas in itself. A warmer atmosphere can hold more water. As the average air temperature soars in response to our burning of fossil fuels, evaporation and atmospheric concentration of water vapour will increase, further intensifying the greenhouse effect. On Venus, this probably caused a runaway greenhouse effect, which boiled away the oceans that may have existed in the planet’s early history. Luckily, man-made climate warming has virtually no chance of producing a runaway greenhouse effect analogous to that of Venus. Even so, scientists with the Intergovernmental Panel on Climate Change (IPCC) assert that the water vapour feedback on Earth could be strong enough to double the greenhouse effect due to the added carbon dioxide alone. While climate change debates of the past decade centred on whether or not humans could be responsible for altering a system as great as Earth’s climate, we may be rapidly moving into forced discussions on how best to strengthen resilience and adaptive capacity to cope as Earth’s climate auto-pilot mercilessly hurtles us towards a new and unknown equilibrium. Once the preserve of science fiction, superhuman abilities are fast approaching the horizon of plausibility. Will it be ethically accepted for the world to divide into the cognitively-enhanced and unenhanced? What might be the military implications? Scientists are working hard to develop the medicines and therapies needed to heal mental illnesses such as Alzheimer’s and schizophrenia. Although progress has been slow, it is conceivable that in the not too distant future researchers will identify compounds that improve existing cognitive pharmaceutical enhancers (e.g. Ritalin, modafinil). Although they will be prescribed for significant neurological disease, effective new compounds which appear to enhance intelligence or cognition are sure to be used off-label by healthy people looking for an edge at work or school. Enhancement could come from hardware as well as drugs. A handful of studies in people show that electrical stimulation – either directly via implanted electrodes, or through the scalp with transcranial magnetic stimulation (TMS) – can boost memory. Cochlear implants are already standard treatment for the deaf, and motor implants for controlling neural prosthetics and devices are developing fast and will likely become more widely available in coming years. Retinal implants for the blind are a bit further behind, but the field is booming and it seems likely that they will be worked out soon. 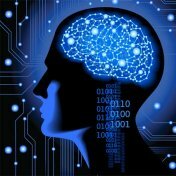 The best interfaces still rely on invasive brain electrodes (non-invasive techniques do work, but are slow and inefficient), which is the major barrier to these being adopted by healthy people. But it seems conceivable that within 10 years either we will have a new method for recording brain activity or the non-invasive signals will be decoded more efficiently. Direct brain interfaces of devices and sensors within our lifetimes are not out of the question, opening a new realm of enhanced neurobiology for those who can afford it. This will pose ethical issues in many walks of life akin to those which surround “doping” in the world of professional sports. Will we accept the idea that significant cognitive enhancement should be available to purchase on the open market? Or will there be, as there is with performance enhancers in competitive sports, a push for legislation to maintain a more level playing field? There is, in addition, a significant risk of cognitive enhancement going very wrong. Cognitive enhancement pharmaceuticals work by targeting particular neurotransmitter systems, and, therefore, will most likely have a wide-ranging action. There is a significant possibility of unintended effects on other systems – for example, drugs to enhance learning may lead to a greater willingness to take risks; drugs to enhance working memory may lead to increased impulsive behaviour. Recent research suggests that, in addition to boosting memory, TMS could be used to manipulate a person’s beliefs of right versus wrong or to suspend moral judgement altogether. It could also be used to “erase” memory and deliberately cause permanent brain damage without the use of invasive procedure or blunt force trauma. Such advancements could have profound impacts in 20 to 50 years on societal norms affecting how we approach issues including education and training, disparity between groups in society, informed consent and exploitation, and international laws on warfare. In response to growing concerns about climate change, scientists are exploring ways in which they could, with international agreement, manipulate the Earth’s climate. But what if this technology were to be hijacked by a rogue state or individual? 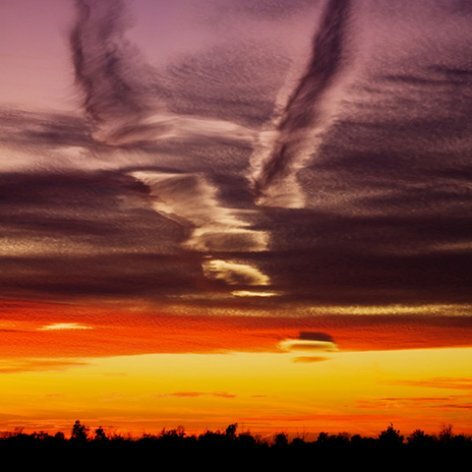 Geoengineering can refer to many things, but it is most often associated with a scientific field that has come to be known as “solar radiation management”. The basic idea is that small particles could be injected high into the stratosphere to block some of the incoming solar energy and reflect it back into space, much as severe volcanic eruptions have done in the past. In stark contrast to decades of technological evolution and political disputes about overhauling energy infrastructure to reduce greenhouse emissions, solar radiation management would act quickly and would be cheap to implement – though side-effects may make it a very expensive option. Most research has focused on sulphur injection via aircraft. Recent studies suggest that a small fleet of aircraft could inject a million tonnes of sulphur compounds into the stratosphere – enough to offset roughly half of the global warming experienced to date – for US$ 1 billion-US$ 2 billion annually.li In theory, the technology would be tantamount to a planetary thermostat, giving humans direct control over global temperature. The direct impact of dimming the sun would be felt within weeks to months. However, a long series of ethical, legal and scientific questions quickly arises about countless additional effects that might be much more difficult to assess. The problem is that incoming solar radiation drives the entire climate system, so reducing sunlight would fundamentally alter the way energy and water move around the planet. Almost any change in weather and climate patterns is likely to create winners and losers, but determining causation and quantifying impacts on any given region or country would be a huge challenge. Nobody envisions deployment of solar radiation management anytime soon, given the difficulties in resolving a suite of governance issues (evidenced by the fact that even the relatively simple SPICElii experiment in the United Kingdom foundered in the midst of controversy).6 Beginning with the United Kingdom’s Royal Society, many academic and policy bodies have called for cautious research as well as broader conversation about the implications of such technologies. But this has led some geoengineering analysts to begin thinking about a corollary scenario, in which a country or small group of countries precipitates an international crisis by moving ahead with deployment or large-scale research independent of the global community. The global climate could, in effect, be hijacked by a rogue country or even a wealthy individual, with unpredictable costs to agriculture, infrastructure and global stability. The problem is that the only way to truly test solar radiation management is at scale. This potentially conflates large-scale research with deployment, thereby giving rogue nations political cover under the guise of science. Much research has gone into whether a programme could be targeted at the Arctic, for instance, where the impacts of global warming are being felt the most, but some researchers suggest that the impacts could quickly migrate from the Arctic to other regions. Many say that a true test of solar radiation management would have to be global. Due to such complexities, most of the science to date has been conducted via computer modelling, although scientists are looking for ways to test these ideas with local experiments. But overall, despite calls for more coordinated government science programmes, the funding landscape for this kind of science remains spotty. This leaves a gap for unregulated experimentation by rogue parties. For example, an island state threatened with rising sea levels may decide it has nothing to lose, or well-funded individuals with good intentions may take matters into their own hands. There are signs that this is already starting to occur. In July 2012, an American businessman sparked controversy when he dumped about 100 tonnes of iron sulphate into the Pacific Ocean off the west coast of Canada in a scheme to spawn an artificial plankton bloom. The plankton absorbs carbon dioxide and may then sink to the ocean bed, removing the carbon – another type of geoengineering, known as ocean fertilization. Satellite images confirm that his actions succeeded in producing an artificial plankton bloom as large as 10,000 square kilometres. We are getting better at keeping people alive for longer. 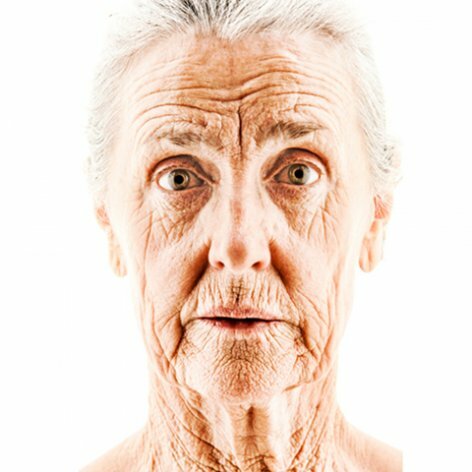 Are we setting up a future society that must struggle to cope with a mass of arthritic, demented and, above all, expensive elderly who are in need of long-term care and palliative solutions? The blessings of 20th-century medicine appear ready to explode with the deciphering of the genome and attendant advances. It is hoped that big inroads against common banes such as heart disease, cancer and stroke may be in the offing. But these advancements may also enhance risks. Consider the impact on society of a growing number of elderly infirm who are protected from the most common causes of death today, but with an ever deteriorating quality of life, as other ailments that do not kill, but seriously disable, start to dominate. Current trends are already setting the stage for such a future scenario in the West. The demographics of the Baby Boom are such that, according to conservative estimates, the number of Americans afflicted with Alzheimer’s disease will at least double, to 11 million, by mid-century.9 Similar rises are projected for many countries, with the global population of the demented expected to double every 20 years until it exceeds 115 million in 2050.10 A key driver will be increasing elderly populations and potentially declining fertility rates in low- and middle-income countries. The looming expense of caring for these masses is huge, especially in high-income countries. The United Kingdom, for instance, spends nearly as much each year caring for the demented (£23 billion) as it does on strokes (£5 billion), heart disease (£8 billion) and cancer (£12 billion) combined.11 And the numbers afflicted with all of these maladies are only going to grow. However, increasing eligibility ages for public services is not a panacea, in part because financial costs are not the only challenge. The impacts of ageing populations will be felt throughout society, from changing best practices in urban planning to impacting social norms on care-giving. More research is needed to turn chronic conditions to acute conditions (i.e. by developing curative treatments), and to find solutions that increase the capacity of all citizens to manage chronic conditions and to create wealth at the same time. 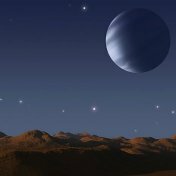 Suppose the astronomers who study exoplanets one day find chemical signs of life – for example, a spectrum showing the presence of oxygen, a highly reactive element that would quickly disappear from Earth’s atmosphere if it were not being replenished by plants. Money might well start flowing for new telescopes to study these living worlds in detail, both from the ground and from space. New funding and new brain power might be attracted to the challenges of human space flight and the technologies necessary for humanity, or its artificial-intelligence emissaries, to survive an inter-stellar crossing. 1 Schmittner, A. & Galbraith, E.D. Glacial Greenhouse-gas Fluctuations Controlled by Ocean Circulation Changes. In Nature, 2008, 456:373-6. 2 Arneth, A., Harrison, S. P., Zaehle, S., et al. Terrestrial Biogeochemical Feedbacks in the Climate System. In Nature Geoscience, 2010, 3:525-532. 3 Lenton, T. M., Held, H., Kriegler, E., et al. Tipping Elements in the Earth's Climate System. In Proceedings of the National Academy of Sciences, 2008, 105:1786-93. 4 Schuur, E.A. & Abbott, B. Climate Change: High Risk of Permafrost Thaw. In Nature, 2011, 480:32-3. 5 Tennison, M.N. & Moreno, J.D. Neuroscience, Ethics, and National Security: The State of the Art. In PLoS Biology, 2012, 10:e1001289. li The most detailed cost and engineering analysis was commissioned by David Keith, currently at Harvard University, and conducted by Aurora Flight Sciences. That analysis, formally completed in July 2011, suggests that a small fleet of aircraft could inject a million tonnes of sulphur into the stratosphere – enough to offset roughly half of the global warming experienced to date – for US$ 1-2 billion annually. lii Stratospheric Particle Injection for Climate Engineering (SPICE) is a UK government-funded geoengineering research project that aims to assess the feasibility of injecting particles into the stratosphere from a tethered balloon for the purposes of solar radiation management. 6 Cressey, D. Cancelled Project Spurs Debate over Geoengineering Patents. In Nature, 2012, 485:429. 7 “Decision Adopted by the Conference of the Parties to the Convention On Biological Diversity at its Tenth Meeting: X/33 Biodiversity and climate change”. UNEP, Convention on Biological Diversity, http://www.cbd.int/climate/doc/cop-10-dec-33-en.pdf, 2010; and Lukacs, M. World's Biggest Geoengineering Experiment 'Violates' UN Rules. In The Guardian, 2012. 8 Macnaghten, P. & Owen, R. Environmental Science: Good Governance for Geoengineering. In Nature, 2011, 479:293. 9 “Recommendations of the Public Members of the Advisory Council on Alzheimer's Research, Care, and Services”. U.S. Department of Health and Human Services, Advisory Council on Alzheimer's Research, http://aspe.hhs.gov/daltcp/napa/AdvCounRec.pdf, 2012. 11 Dementia: A Public Health Priority. 2012. Geneva: World Health Organization; and Luengo-Fernandez, R., Leal, J. & Gray, A.M. UK Research Expenditure on Dementia, Heart Disease, Stroke and Cancer: Are Levels of Spending Related to Disease Burden? In European Journal of Neurology, 2012, 19:149-54. 12 “Financial Statements of the United States Government for the Years Ended September 30, 2011, and 2010”. Financial Management Services, http://www.fms.treas.gov/fr/11frusg/11stmt.pdf, 2011. 13 Lee, R. & Mason, M. “Population Aging and the Welfare State in Europe”. Global Trends 2030, http://gt2030.com/2012/08/01/population-aging-and-the-welfare-state-in-europe/, 2012. 14 Crimmins, E.M. & Beltrán-Sánchez, H. Mortality and Morbidity Trends: Is There Compression of Morbidity? In The Journals of Gerontology Series B: Psychological Sciences and Social Sciences, 2011, 66B:75-86. 15 Martin, L. G., Freedman, V. A., Schoeni, R. F., et al. Trends in Disability and Related Chronic Conditions among People Ages Fifty to Sixty-four. In Health Affairs (Millwood), 2010, 29:725-31. 16 Tatar, M., Bartke, A.& Antebi, A. The Endocrine Regulation of Aging by Insulin-like Signals. In Science, 2003, 299:1346-51. 17 Goldman, D. Personal Communication. In Nature, Editor 2012.